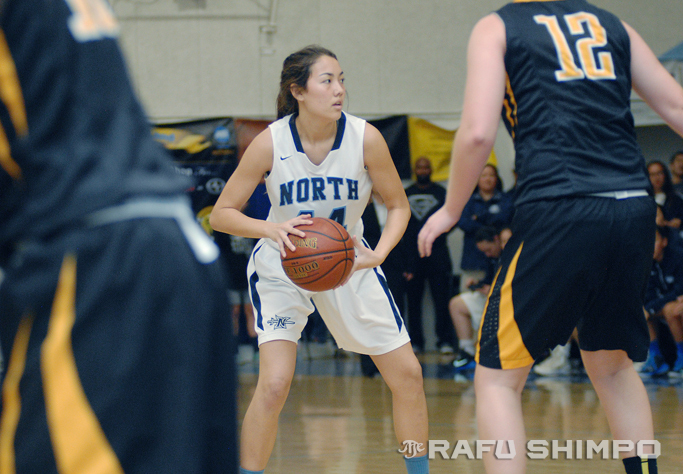 Girls' teams open Southern Section postseason tonight. The CIF Southern Section high school basketball playoff are under way with boys’ games played Wednesday, while the girls open their postseason tonight. Below is a list of schools with notable athletes that are involved with the playoffs. If there are any players whose names should be added, please let us know at (213) 629-2231. Additionally, any reported scores and other information from the games is welcome and much appreciated! The schedule is subject to change; more playoff bracket information can be found at www.cifss.org. Open Division – Games scheduled for Friday, Feb. 17 at 7 p.m.
Kennedy (Hallie Kaichi, Keiley Kuwahara, Mari Wada, Dana Sugimoto, Camryn Hamaguchi, Ashley Kuwahara) at Valley View. Games scheduled for Thursday, Feb. 16 at 7 p.m. unless otherwise noted. Canyon (Nicola Furumoto, Allyson Yamasaki, Taryn Uyematsu, Mia Farrell) hosts Valencia, 6 p.m.
Open Division – games scheduled for Saturday, February 18 at 7p.m.